You start your workday by booting up your Windows PC. You end the day by shutting it down again. No fuss. No muss. No bother. A problem at boot time can keep you from your work--or your fun. And a shutdown issue takes a lot of the fun out of getting up and leaving your PC. In this Answer Line installment, I address three reader questions about common Windows startup and shutdown problems. If you have questions about your PC, or any other tech topic, send them to answer@pcworld.com or pose your question in our Answer Line forum. Why does my PC reboot when I tell it to shut down? When something causes a system failure at shutdown, Windows responds by rebooting. Thus, instead of telling you what's wrong, it gives the impression that it can't tell the difference between shutting down and restarting. 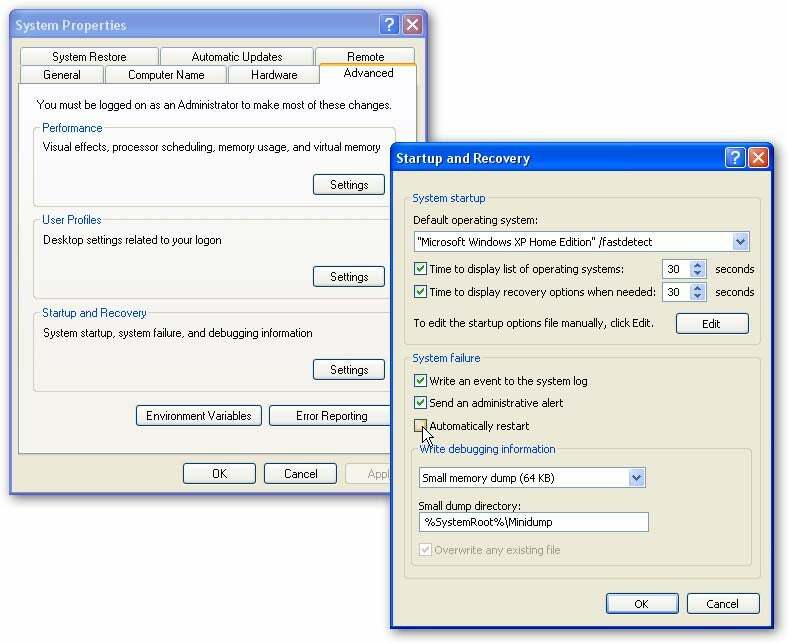 Uncheck 'Automatically Restart' to prevent Windows from rebooting whenever it encounters an error during shutdown. Fortunately, you can turn off that silly behavior. Select Start, Run (just Start in Vista), type sysdm.cpl, and press Enter. Click the Advanced tab, and then click the Settings button under 'Startup and Recovery' (as opposed to the other two Settings buttons on that tab). Uncheck Automatically restart. That will stop the reboots, but it won't fix the underlying problem: the system failure causing them. Still, it might give you an error message that you can research to find a solution. Once upon a time, a major culprit for system failures at shutdown was Roxio's Easy CD Creator 5. If you're still using that version (the current product is Easy Media Creator 10), you can still find the bug fix at Roxio's Web site. If Windows begins failing at shutdown (or at boot time) after you update a hardware device driver, use the Device Manager to roll back to the previous driver. Today, the problem is more likely to be caused by a hardware or driver issue. 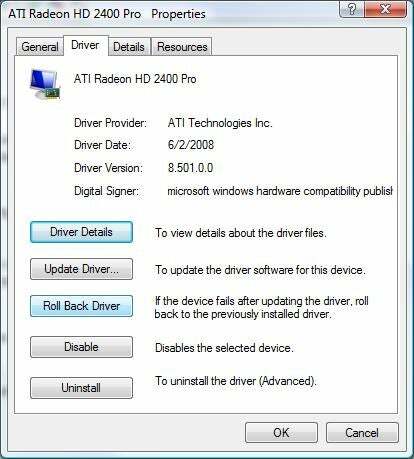 If the problem started soon after you added a new peripheral or updated an old driver, try removing the recent addition. Check vendors' Web sites for updated drivers for your new hardware, or use Windows' Device Manager to roll back to older ones if you suspect an update has caused the trouble. For background information, read the original forum discussion for this tip. How do I get Windows to stop asking me for a password when I boot my PC? Windows requires a log-in password for a reason: to protect you. If someone else can log in as you, they may be able to access your encrypted files, send out e-mail under your name, log in to Web sites as you, and even make purchases using your credit card number. You can protect yourself from the worst of those offenses without a log-in password--just enter passwords at other times. 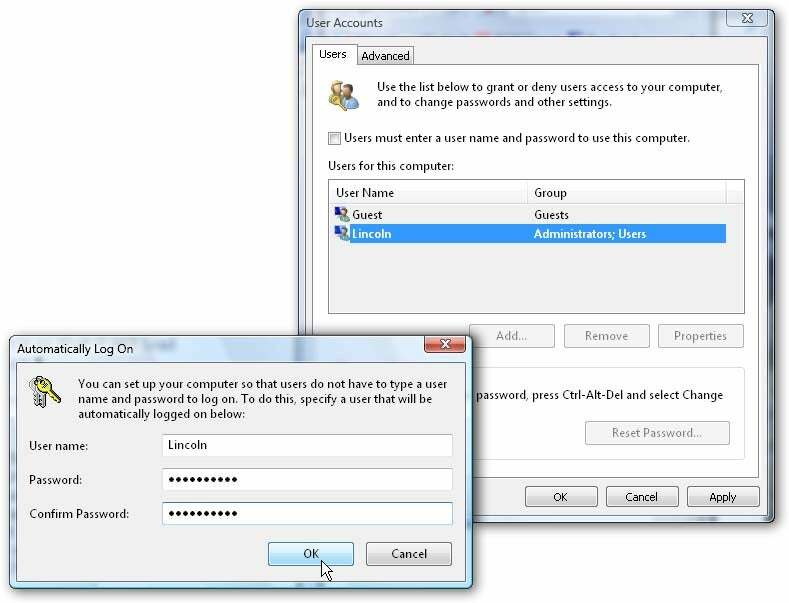 For instance, you can set up your e-mail system to require a password, and you can keep sensitive files in a TrueCrypt vault. But giving up the log-in password removes a layer of security. Still, if only trustworthy people have access to your PC, and if you take the right precautions, turning off Windows' native password protection probably won't do you harm. If only trustworthy people have access to your PC, and if you take the right precautions, turning off Windows' native password protection probably won't do you harm. Turning the password feature off is simple: Select Start, Run (just Start in Vista), type control userpasswords2, and press Enter. Uncheck Users must enter a user name and password to use this computer. When you click OK or Apply, a dialog box will ask you which user should be logged on automatically. Entering your name and password this one time will free you from having to type in the info again.